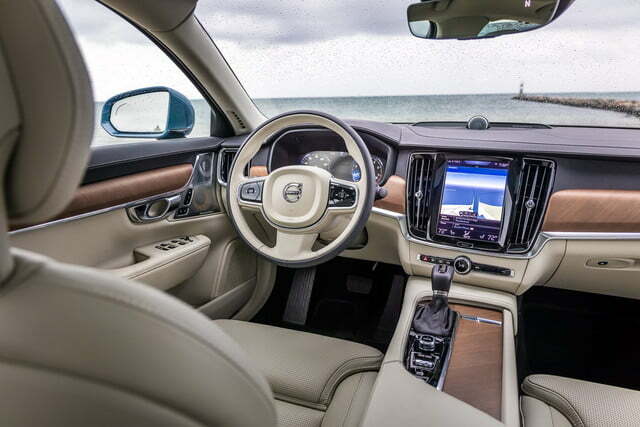 Volvo’s S90 is a superb luxury flagship, jam-packed with tech for safety, entertainment and convenience. Manhattanites looking for an escape from the city that never sleeps can find it by jaunting as far east as a drive or train ride can take you, to Montauk, Long Island. The attitude around the luxurious beach town is antithetical to that of the major metropolis that visitors leave behind — do things at your own pace, and enjoy the ride. 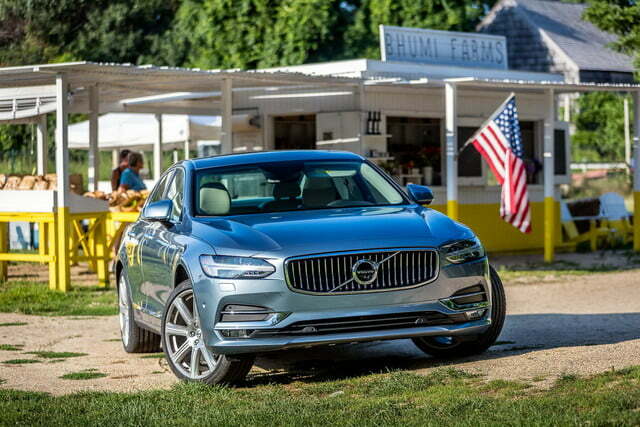 It might be an odd place then to test drive a car, but no place could be more fitting for a car like the Volvo S90, the flagship four-door sedan from a company that defies convention. Volvo seems start its new designs with the basic blueprint of a car, and then have its engineers redraft them from memory, all the while adding extra twists that exemplify the brand’s unique approach to all facets of car making. 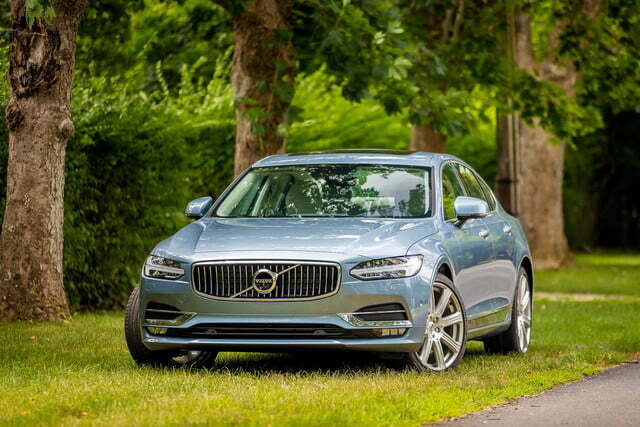 At first glance, the S90 looks very much like an XC90 pressed and molded into a sedan shape. 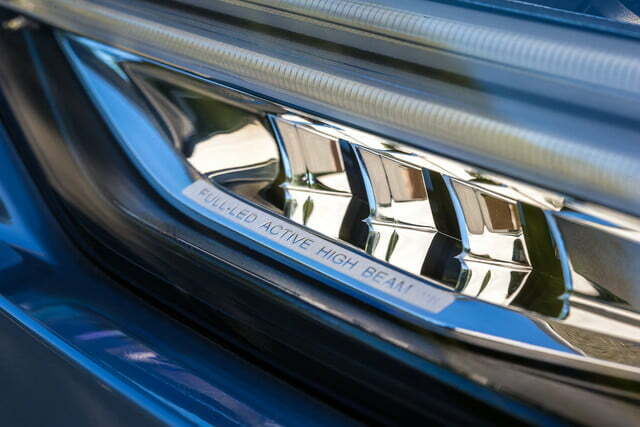 That’s not exactly a stretch, considering the S90 rides on the same modular platform as its SUV big brother. But its proportions are better balanced than the model it replaces, the S80, with the front wheels tucked further forward on the chassis. This longer “axle-to-dash ratio” subconsciously telegraphs luxury – the front wheels set further from the back ones subtly mirrors limousines. In all, the car’s got a very solid, longer and wider stance. 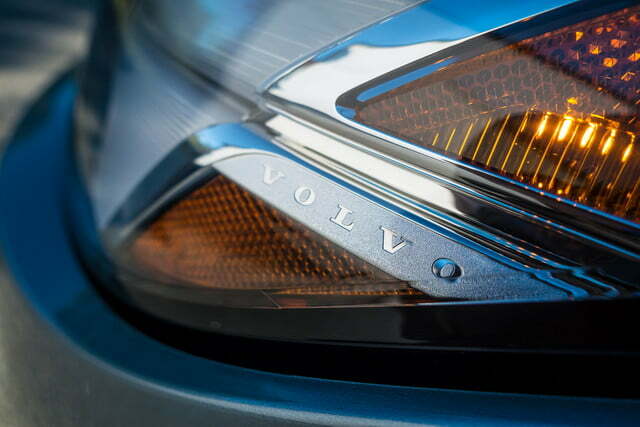 T-shaped front headlights that recall “Thor’s hammer” reinforce Volvo’s Norse brand identity. These flank the concave, upright waterfall chrome grille that mirrors the design found on the classic P1800 coupe. 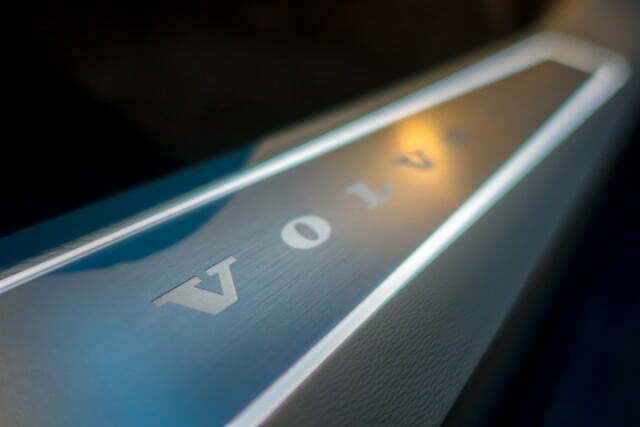 The rear still ends in a seemingly abrupt manner that Volvo sedans do, but it’s overshadowed by distinct wraparound taillights, the shapes of which echo throughout the car’s design, repeating in things like the air vents. 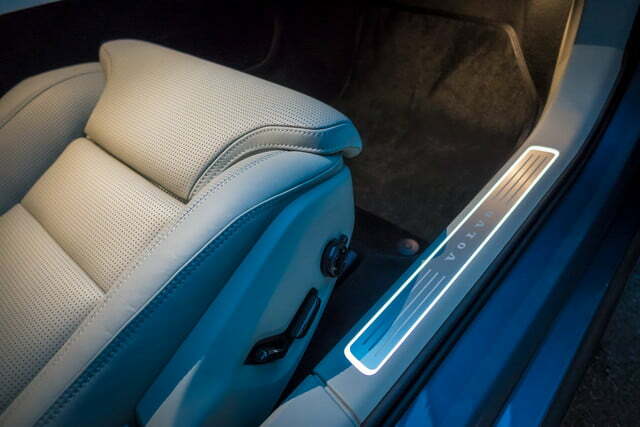 Inside the cabin, a host of details rarely found outside the realm of top-lier luxury automakers demonstrate how Volvo approaches even small details in a different way than most. 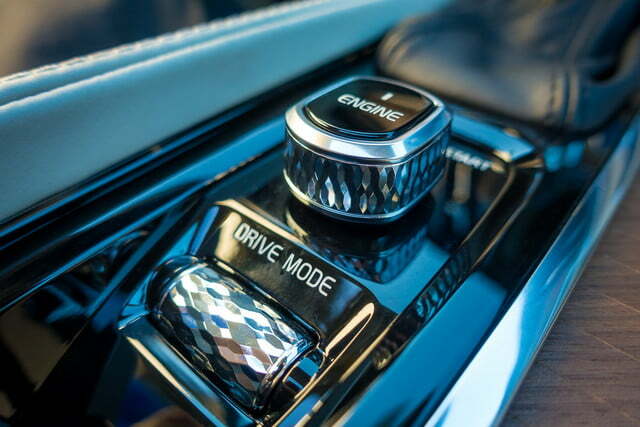 For instance, looking at the dash, you can see a single-piece metal spine flowing from wheel to door. This isn’t a snap-on design piece, but something actually structured into the architecture. All the wood-deco panels have been cut to a specific curvature to accentuate the 3D effect it gives off. Each knurled air vent knob is cut in the multifaceted style of Swedish glass fixtures. These details receive an unprecedented level of detail, and it barely scratches the surface. Speaking of which, the leather wrapped interior is made of some of the supplest leather you can find in a car. A great deal of thought has gone into the technology that surrounds the occupants, from safety to entertainment. Behind the steering wheel sits a generous 12.3-inch digital display that tells drivers a lot more than the usual instrument gauges. Here, the driver can activate the S90’s big party trick: Pilot assist, the latest edition of Volvo’s semi-autonomous drive mode. Volvo doesn’t beat around the bush when talking about liability: the driver is in charge. In its latest iteration, the semi-auto system helps the driver with things like braking, acceleration, and lane-keep assist. I say “help” because this is a hands-on-the-wheel situation and Volvo doesn’t beat around the bush when talking about liability: the driver is in charge. 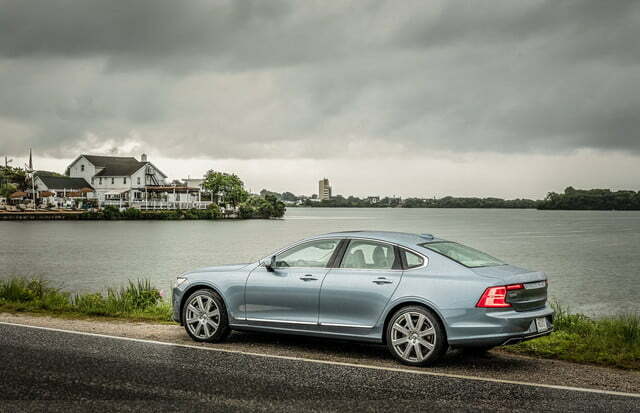 With a combination of sensors, the S90 can travel with no inputs on the highway at up to 80 mph. In ideal conditions, it senses the lanes and keeps the car within the boundaries, adjusting the steering angle and speed when necessary. Pilot assist no longer requires a car to follow for it to work, but it doesn’t hurt if there is one. At that point, adaptive cruise control kicks in, maintaining distance as both cars cruise along. With the car handling some of the driving on the way west out of Montauk, I was free to explore the Sensus Connect touchscreen, the large tablet-like interface in the center of the dash. The nine-inch screen is standard on all trim levels, and hosts pages of different functions. It works very much like any home tablet, and even has a pulldown shortcut menu to access many of the applications available. Maps are a given, as are the various radio options, but swipe further and you’ll find several menus to access the 360-degree parking camera, the accompanying sensors, driver assists, and more. A selection of third-party apps also assist in travel, such as Yelp and weather apps. The S90 is Apple CarPlay compliant, but uniquely, CarPlay doesn’t fully dominate the interface as it does in other applications. Instead, it runs in a lower portion of the touchscreen, allowing CarPlay access, but easy reach of all the Volvo functions simultaneously. 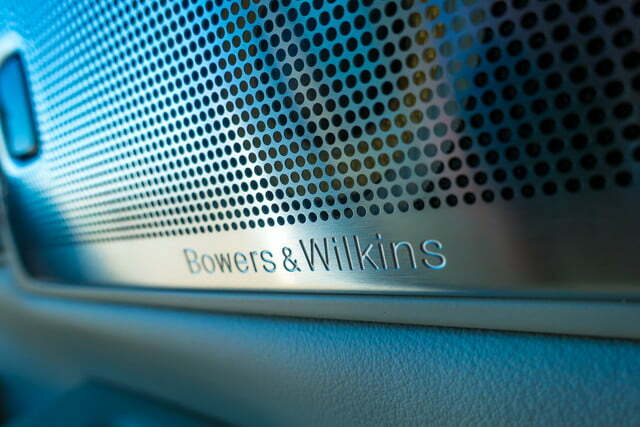 A 19-speaker Bowers & Wilkins sound system blasts out your musical selections. I favored the “Concert Hall” setting, which reproduces the sound experience one would have at the concert hall of Gothenburg, where Volvo is headquartered. Volvo has set a goal for itself for its cars to be so safe, that by 2020, there will be no serious injuries sustained in one of its cars. 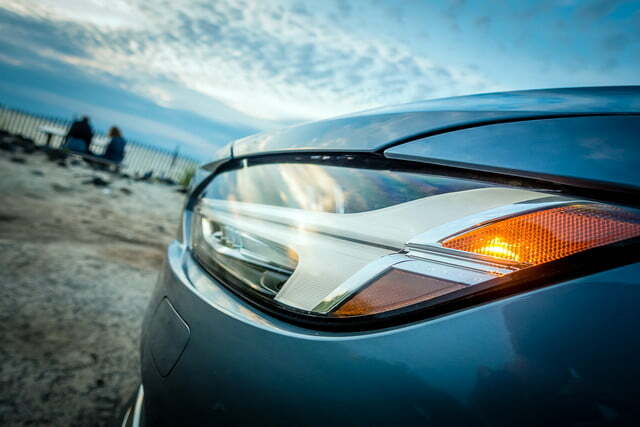 To that end, safety has received just as much attention as other aspects of the car, particularly when it comes to what the car sees in front of it. From its perch in the windshield, the rear-view mirror hosts a huge packet of cameras and sensors that scan the road ahead. A pedestrian safety system can recognize people at low speeds and brake to a full stop, and the S90 now sports the new system that now detects large animals as well. 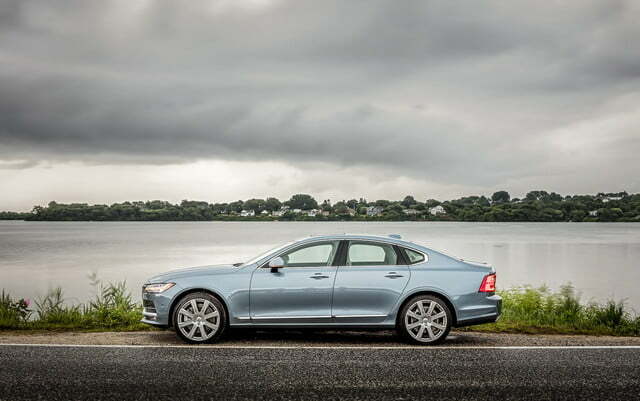 As much as it is a technologically sound Scandinavian sanctuary, the S90 is still a car, and although the technology overshadows this, the driving experience remains a factor. 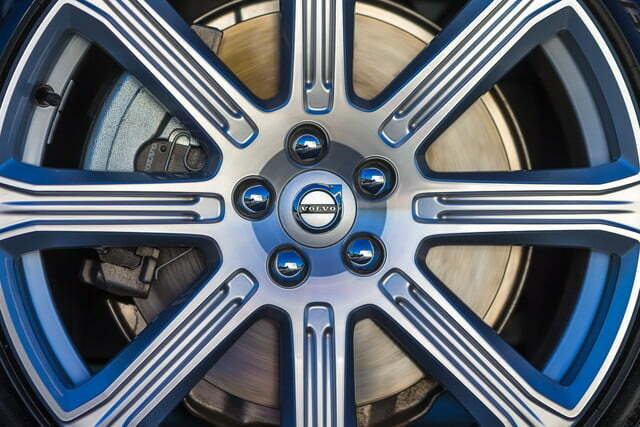 What Volvo would call “relaxed confidence” is what I’d call a car that leans more towards luxury than sport. All S90 models house a turbocharged 2.0-liter inline four-banger beneath the hood, but the T6 AWD adds a supercharger in the mix. Thus, it produces 316 horsepower and 295 pound-feet of torque, which is sent to all four wheels via an eight-speed automatic gearbox. 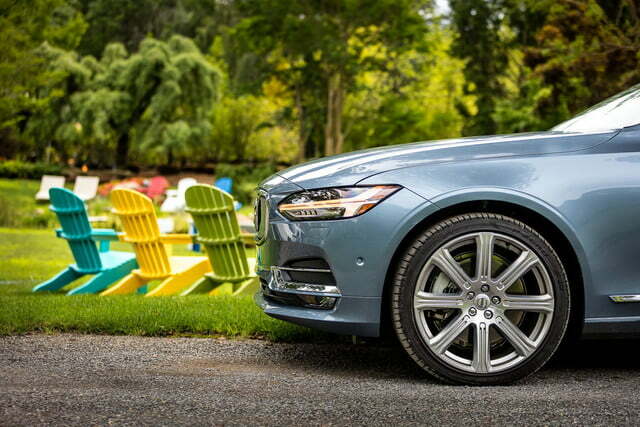 If need be, the S90 has enough grunt and poise to make a speedy highway dash without too much drama, but don’t mistake it as a sports sedan. In tighter instances, pushing the S90 hard is taking it outside its comfort zone and yields little reward. So apart from the occasional lead-footedness, the S90 isn’t stellar, but in all other instances, it really shines. Those who may be unfamiliar to the brand find it surprisingly luxurious and comfortable, from either the front or the back seats. We loved the XC-90 so much, we gave it an award, and reducing its essence down to a mid-size sedan to form the S90 is fine by us. Volvo’s dignified flagship is very easy on the eyes, and even easier to drive on a daily basis. Not if you value luxury and technology, but maybe if you’re feeling the need for speed. 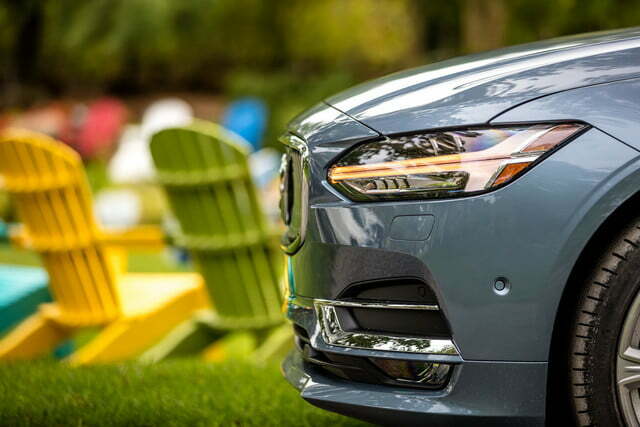 The S90 starts at $45,950 (without destination fee) for the base model, while our T6 AWD Inscription model is priced at $56,250. Loaded with options, it totaled at $66,105. This puts it against some solid competition on both sides of the pond. Here in the US, the Cadillac CTS ($45,560) would give it a run for its money, though the Volvo’s tech package is more enticing. European rivals include the Mercedes E-Class, which has its own bevy of tech, as well as the newly announced BMW 5 series. It’s worth mentioning that cars from these German contemporaries focus more on sporty driving dynamics, which is the one weak link in the S90 chain. How about “forever”? 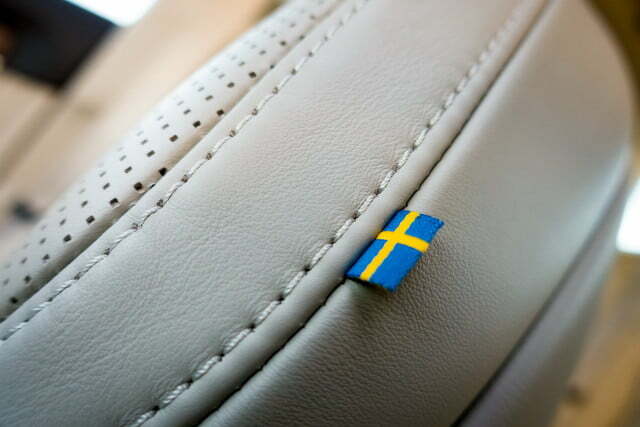 That may be hyperbolic, but the Swedes are known to make some tough cars, and the S90 should power through whatever you throw at it for many years. 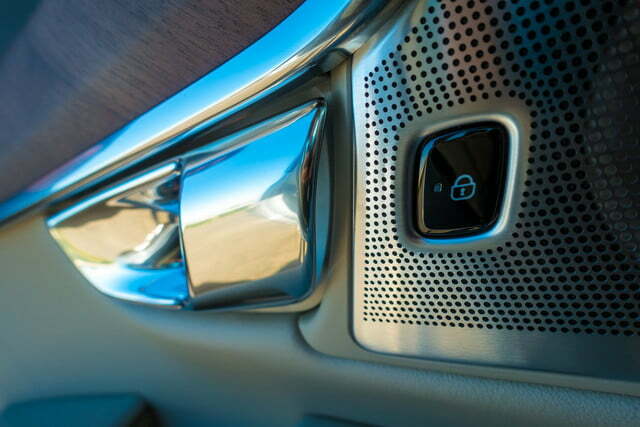 The technology within is about as current as you can get, but inevitably, newer versions of pilot assist will come out, and the S90’s hardware will only be able to keep up with the software for so long. We say yes indeed. 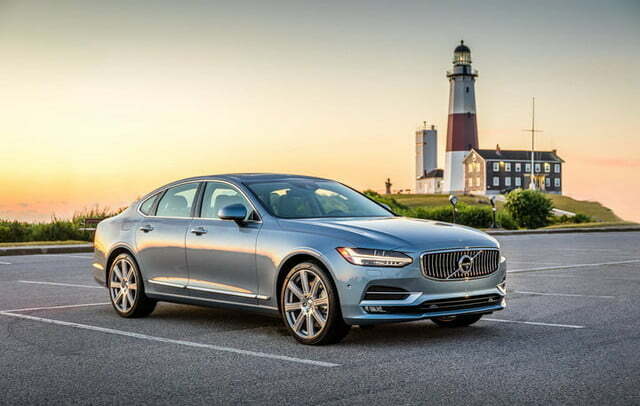 The Volvo S90 is a comfortable, luxurious package designed to make your daily driving as easy as possible. Heck, it’ll even help you do it half the time. Those unconcerned with sportiness that want a classy, stylish concert hall on wheels need look no further. Now in its third generation, the 2019 Porsche Cayenne boasts updated styling, features, and performance hardware within deceptively similar bodywork. With improved rivals, the Cayenne needs to dazzle to stay ahead of the pack. The 2019 Audi TT RS gets a minor face-lift, but it keeps its signature turbocharged inline-five engine. The updated TT RS makes its United States debut at the 2019 New York Auto Show.